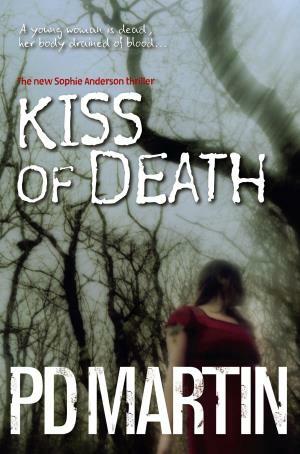 I had heard a lot about Australian crime writer PD Martin, who writes a series featuring FBI profiler Sophie Anderson, but her books are difficult to get hold of in the UK. However, I thought it was time I read another book as part of the 2012 Australian Women Writers Challenge and I was kindly sent a copy of Kiss of Death by Bernadette at Reactions to Reading. The opening scene features the vision/dream, experienced by FBI profiler Sophie Anderson, of a girl being pursued at night. This sets the tone for the book and introduces to new readers (like me) the fact that Sophie is not only a profiler but a psychic who intermittently experiences visions of events around her investigations. In Kiss of Death, she has just seen the death of a girl who is found in an LA park with two puncture marks on her neck. Investigators soon link the killing to one of the vampiric cults operating in LA, somewhat prosaically named ‘After Dark’ and led by the charismatic Anton Ward. But Sophie’s investigations are hampered by the attraction she feels towards the leader and his possible recognition of her psychic gifts. Sophie adopts the persona of a vampire follower to infiltrate the group, which causes problems in her relationship with her boyfriend Dan and also begins to blur the boundaries between professional and personal relationships. My heart initially sank when I realised this book was written on the subject of vampires as this isn’t an area I’m the slightest bit interested in. The book didn’t particularly have anything new to say about the whole vampire genre and I kept expecting the vampire angle to be a red herring in the investigation and the true motive for the murders would be revealed. But vampirism was at the heart of the book and the author seemed keen for the reader to treat the vampire cult as a serious proposition. I think it would have helped if she’d written in a character who strongly disbelieved in the whole notion of vampires to balance out Sophie’s apparent credulity. As the narrative developed, however, the focus shifted to the cult-like nature of the group which was very interesting and widened the scope of the book. The psychic aspect of Sophie was portrayed very well and I thought this was the better part of the book. The FBI profiler bit was a little superficial for my liking although the infiltration of the group worked well in the plot. It was a fun book to read, with some enjoyable scenes showing snapshots of LA from an outsider’s point of view (Sophie is Australian). I think if the subject matter hadn’t been vampires I would have enjoyed it a lot more, so I am keen to read other books in the series. I read this book as part of the 2012 Australian Women Writers Challenge. Thanks for this review, I think I will avoid this as I hate books about vampires (etc) even if they are not real (eg I have not read Let The Right One In despite many persuasions and being sent more than one copy!). I read the first one in this series having heard good things about it, but it just wasn’t for me, with its combination of psychic protagonist and “woman in peril” bloodthirstiness. Sorry! Thanks Maxine. I quite like the idea of a psychic protagonist so I will carry on reading the series I think when I can get hold of copies. Sarah – Thanks for this review. I like the Sophie Anderson character a lot (I like her sense of humour as much as anything), but I admit, this one wasn’t my favourite. I’m not much of a one for vampires and such like. I hope you’ll enjoy the others in the series. Thanks Margot. Yes I forgot there were some funny scenes in the book including when Sophie dresses up as a goth. Sarah, are you finally beginning to read my sort of fiction?! Psychics and vampires no less. I enjoyed the review but it still sounds a bit too thriller-esque for my taste; my taste in crime is a bit staider as you know. I will add it to the other book I’m bringing along when I see you next Anwen, I think you might enjoy it. I didn’t even realise PD Martin wrote fantasy, always just had her pegged as a crime writer. But I suppose writers like to try different things sometimes. Usually her work is good, we sometimes include her work in Yr10 for genre studies. I think its fairer to say its about the vampire subculture rather than vampires per se. 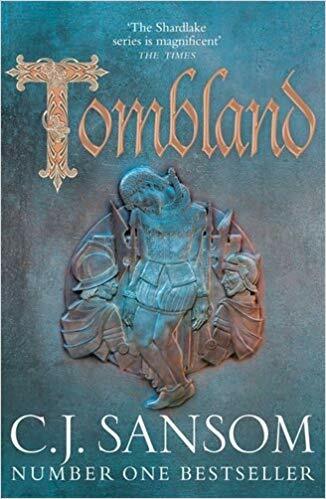 This was the first book of the series I read and it was the first person narrative that threw me, but i have read several others since and enjoyed them, I hope you do too! Thanks Shelleyrae. I will look out for other books by this writer as I like the psychic element. I just can’t bring myself to read of psychics and vampires. My pro-science brain just won’t go there. I don’t know the attraction, however, two things I’ve learned in this world of crime fiction, is that everyone’s taste in books is different, as different as taste in food, music, art, movies, clothing, jewelry, decor, politics, and also that no two people read exactly the same book. Yes I agree. As far as vampires go, I liked ‘Dracula’ and ‘the Historian’ but that’s about it.